New Jo Wheatley All Abilities Playspace Open! We have waited years for this product and here it is! 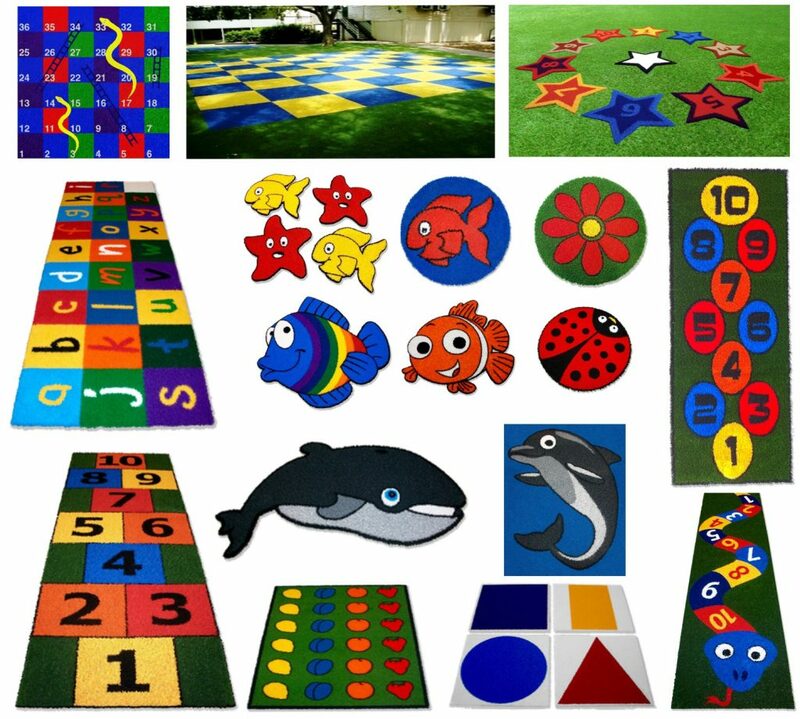 Synthetic grass is a favoured surface for portable equipment in child care centres. But, the problem has been: How to demarcate the safe zone to place equipment over 600mm in height. Up to now there was no way of permanently or easily marking synthetic grass, and hence equipment was often set-out in a position that did not meet requirements of the Playground Standards. Synthetic grass can be ordered with a pattern WOVEN into it. The safe zone can be made into an exciting colour, texture or pattern, or can simply be a contrasting green! 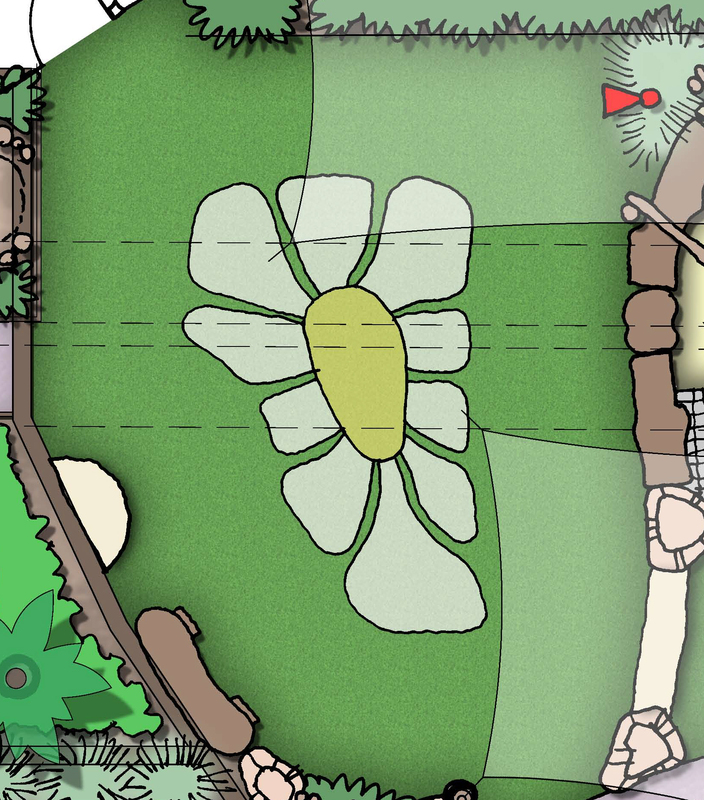 The above sketch plan shows a flower type figure, depicting where the portable equipment can be placed. The equipment would be placed anywhere on the flower, including the petals. 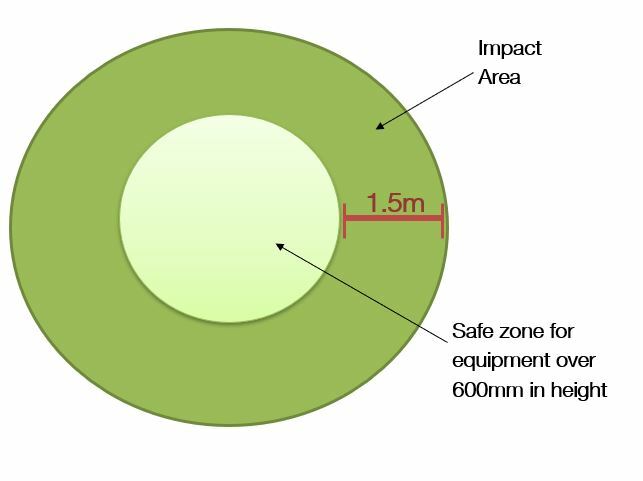 The 1.5m impact area is the green area surrounding the flower (no equipment to be placed here). See the Kidsafe Movable Play Equipment summary here. Alternatively, you can purchase the full ‘Movable Play Equipment Guide’ from Kidsafe. 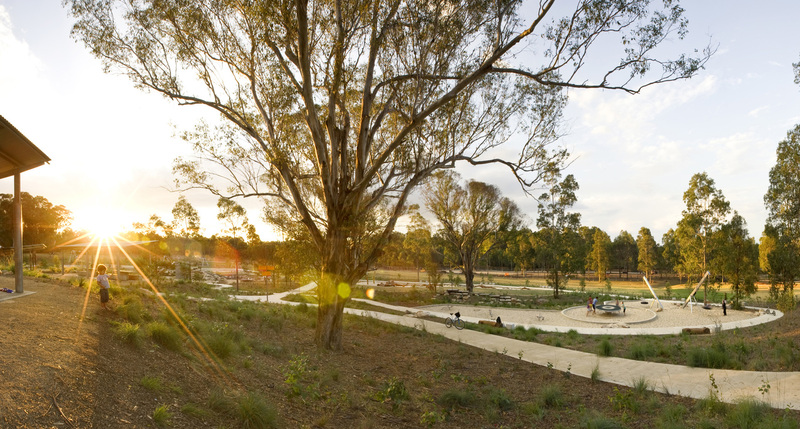 See grassart’s website for examples of what is possible in synthetic grass. The pile heights vary from 10 to 60mm, and has a 5 year warranty. Copyright © Architects of Arcadia 2018. All Rights Reserved. Photo: Simon Wood.